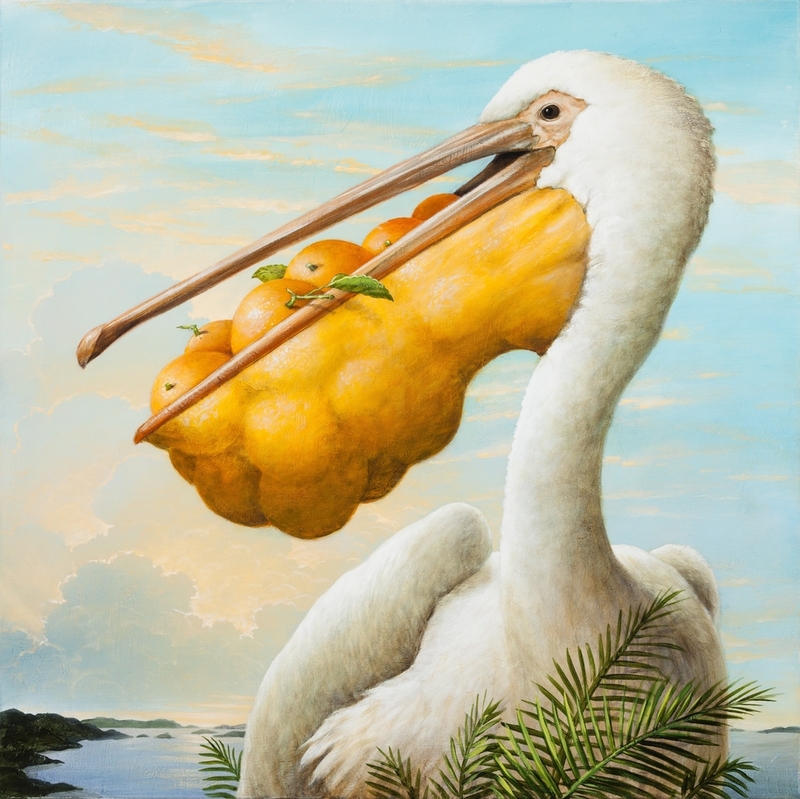 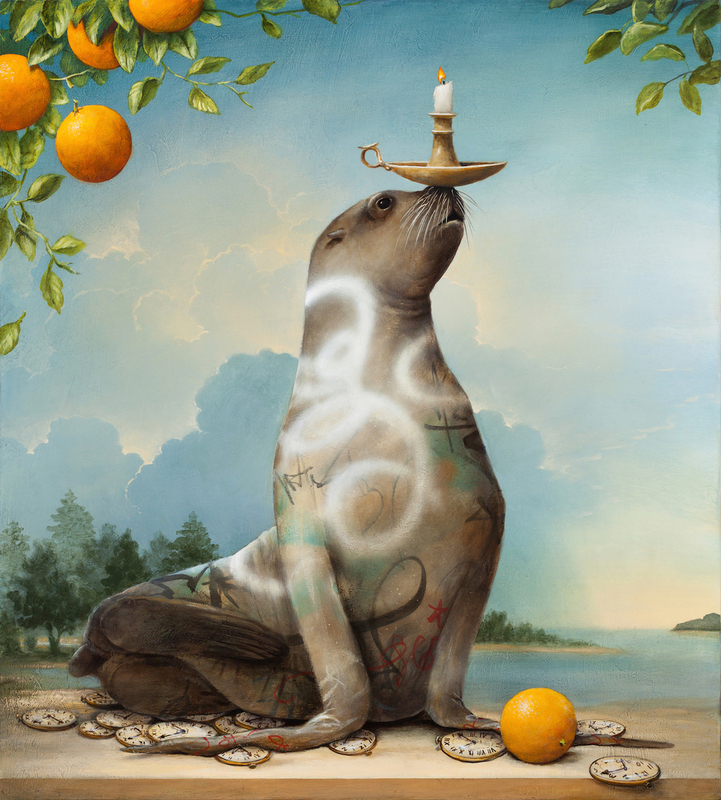 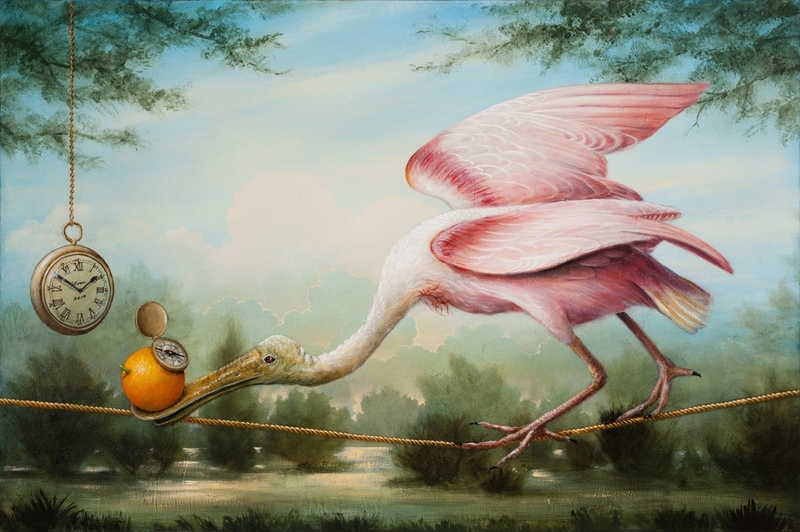 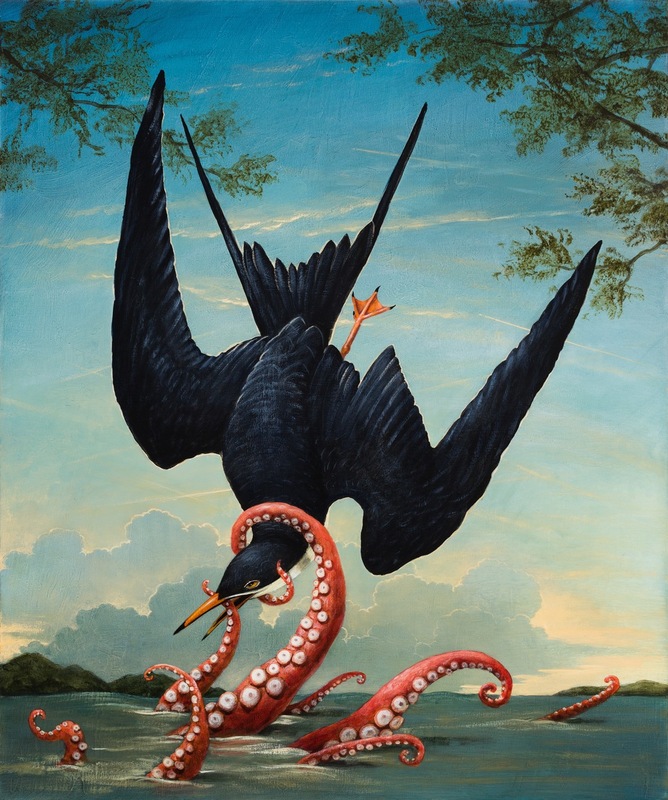 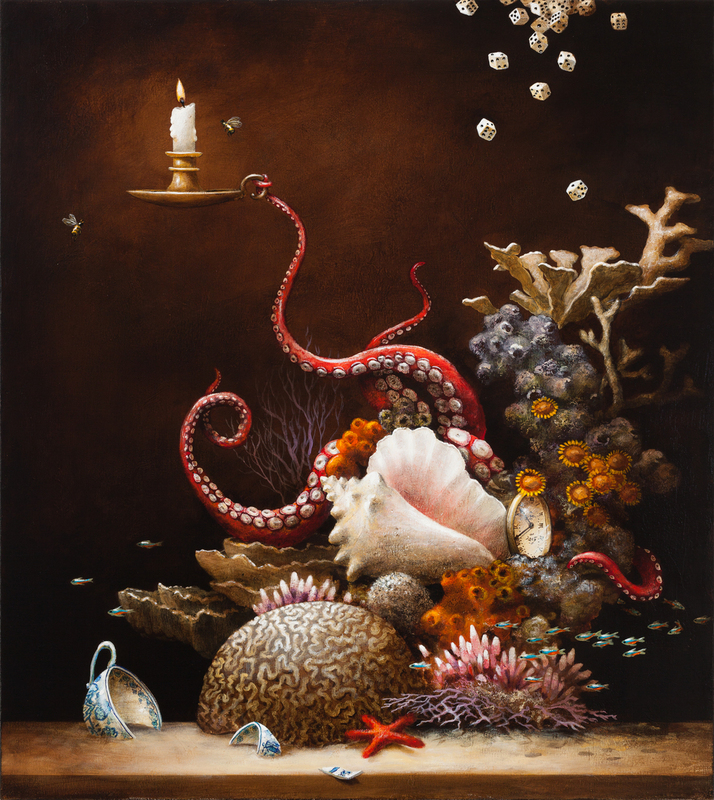 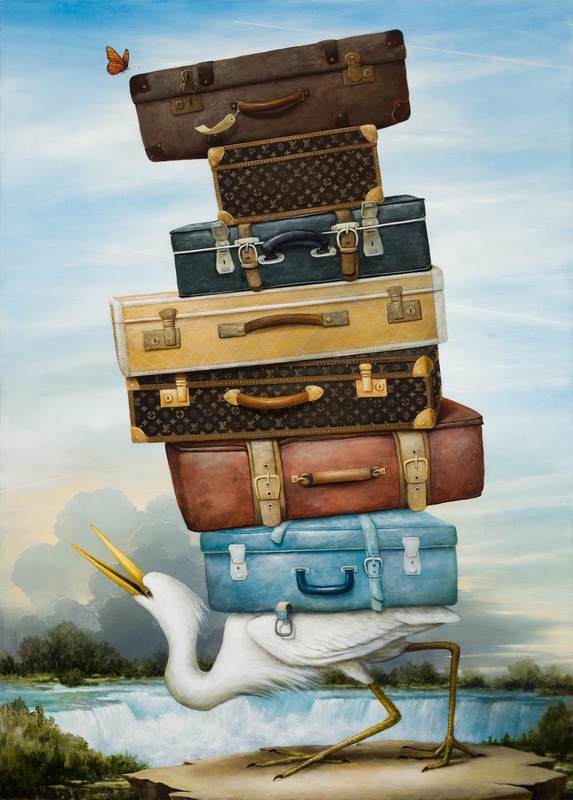 Kevin Solan‘s current works are allegorical depictions of what occurs when the natural and man-made worlds meet. 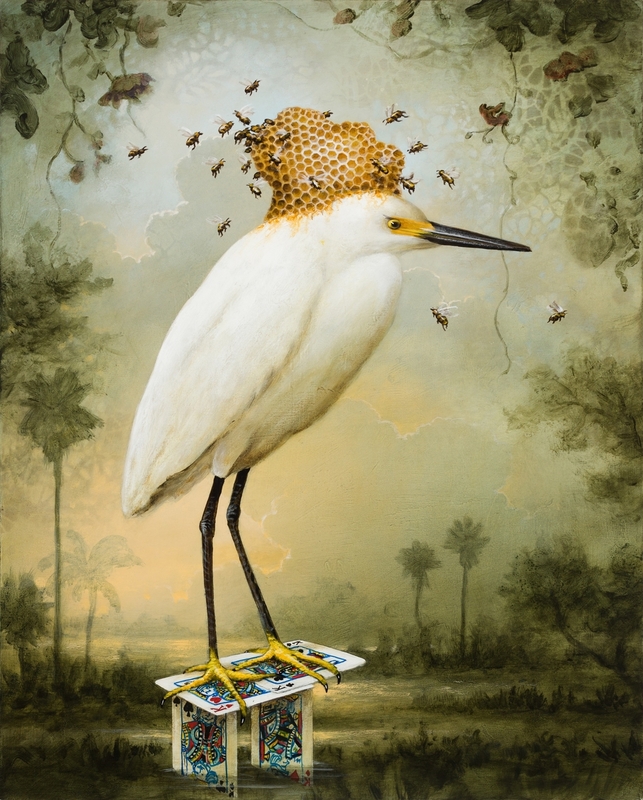 He created a body of work that speaks about our modern technological environment and simultaneously presents images of natural beauty and mystery. 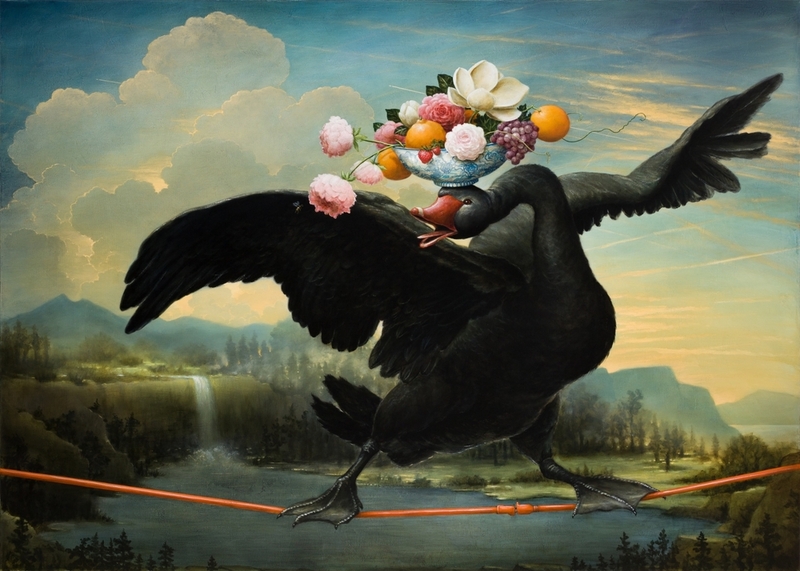 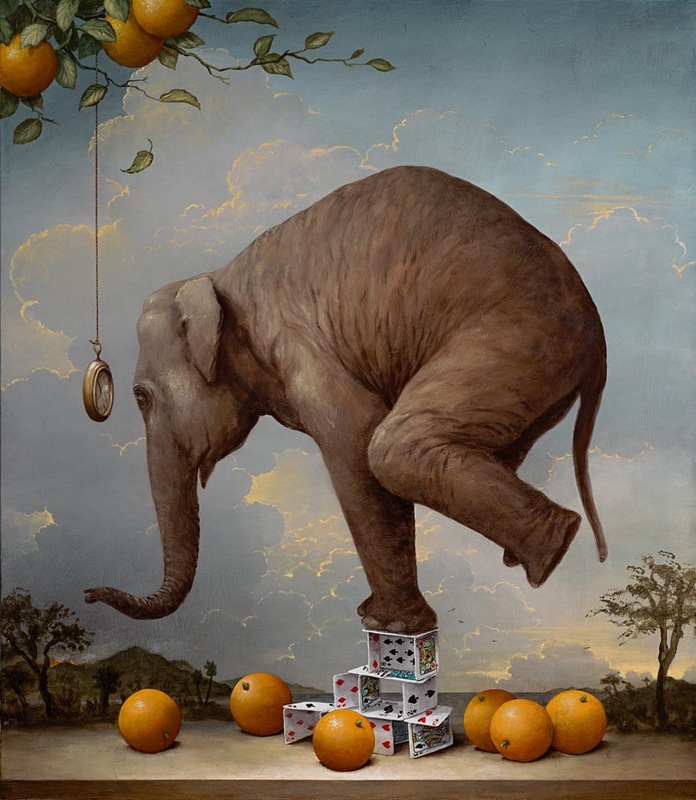 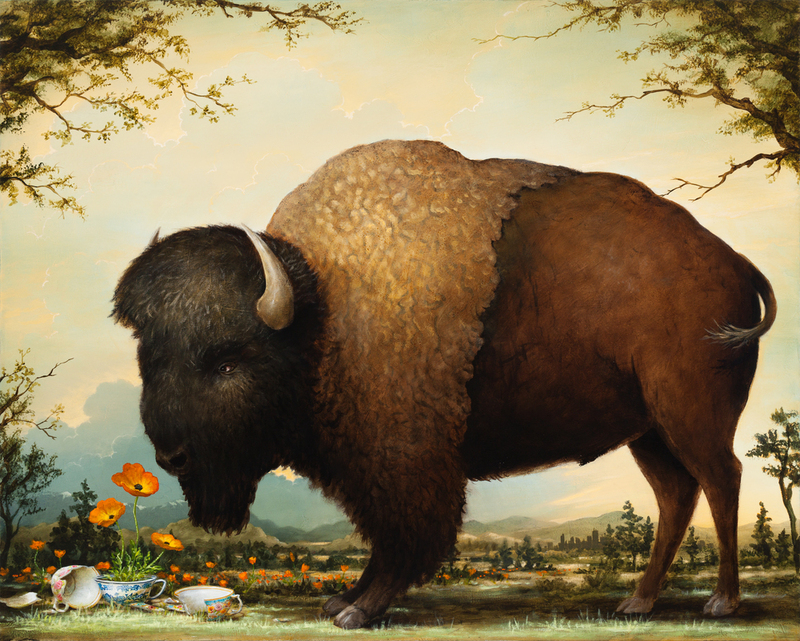 In these tableaus, the natural world of animals and plants interacts awkwardly with the man-made objects and yet, a tenuous balance is achieved. 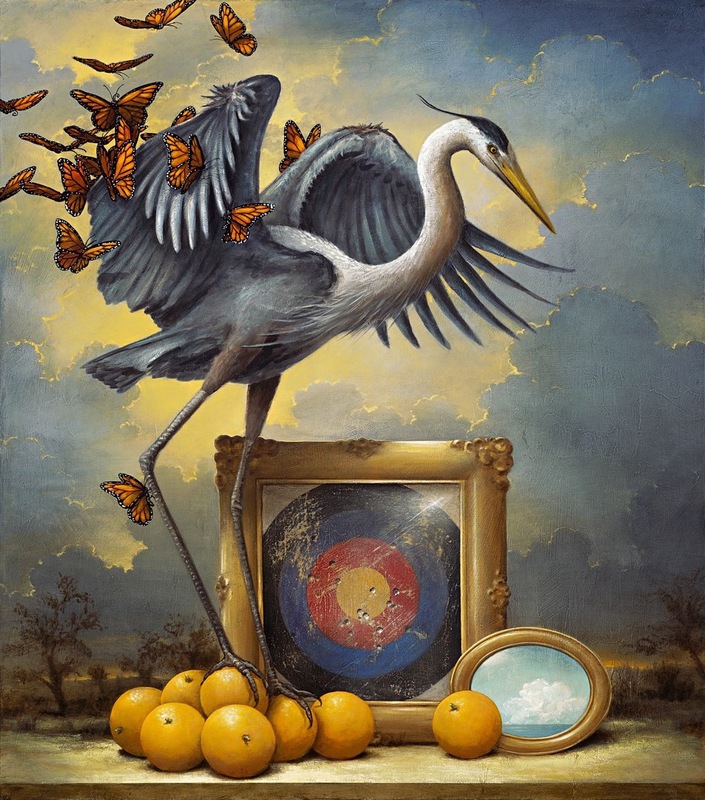 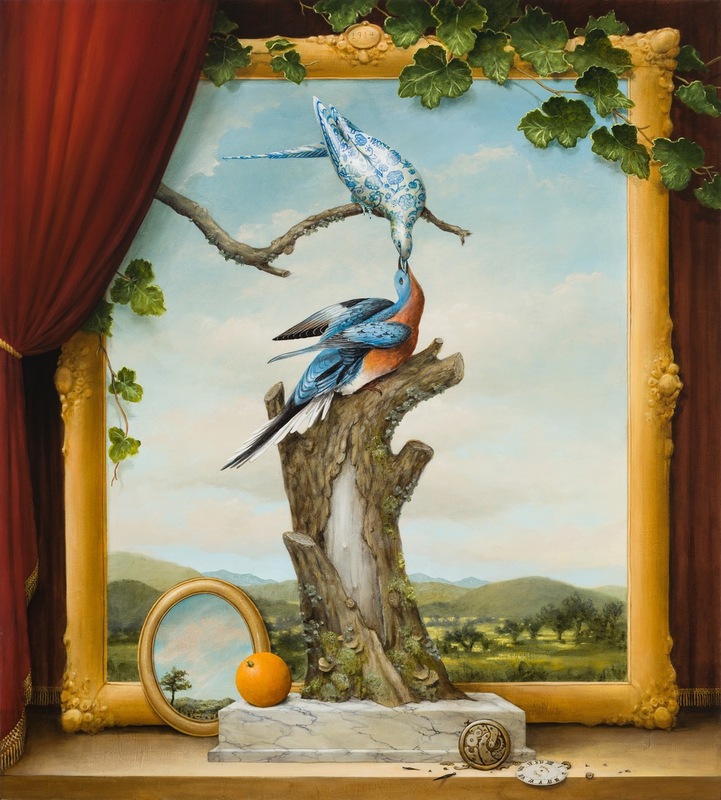 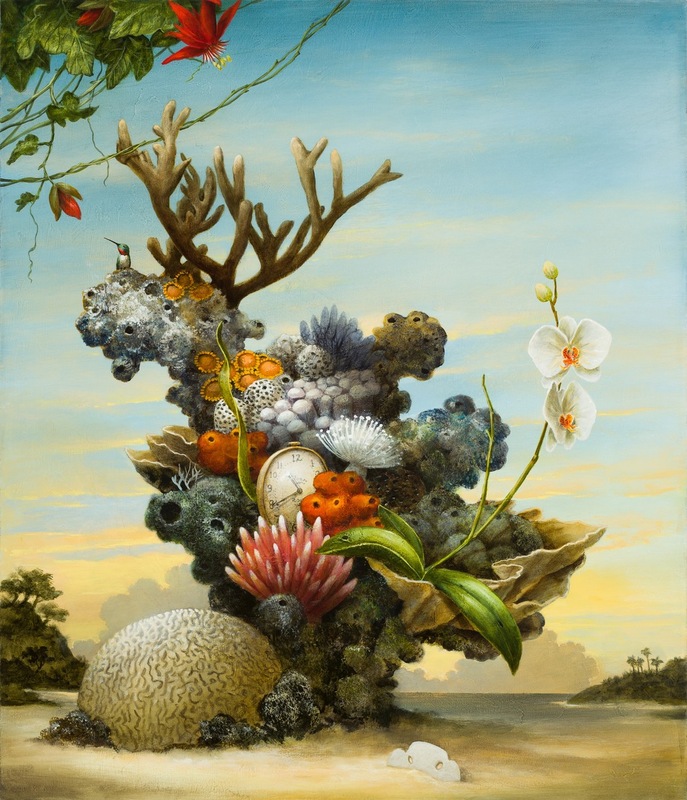 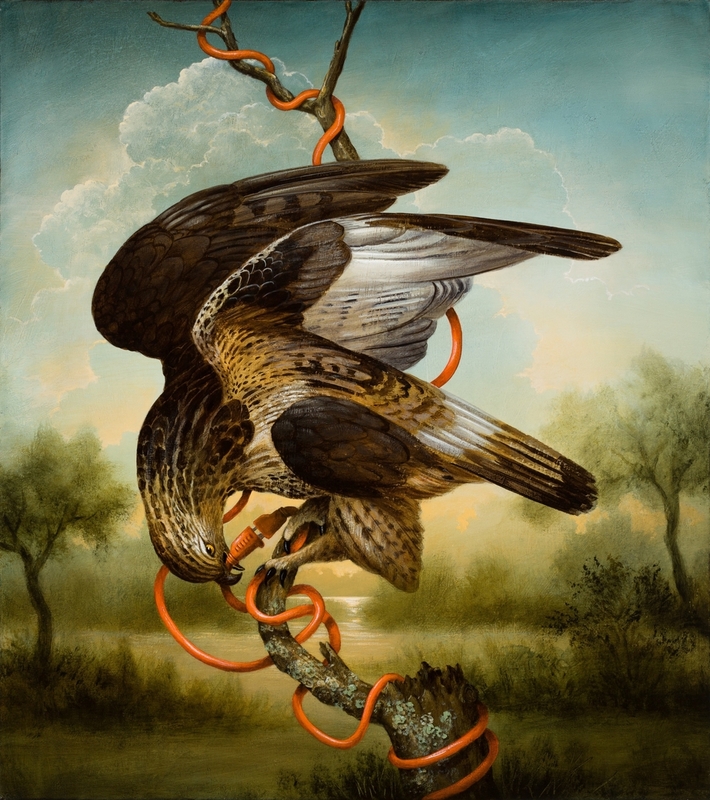 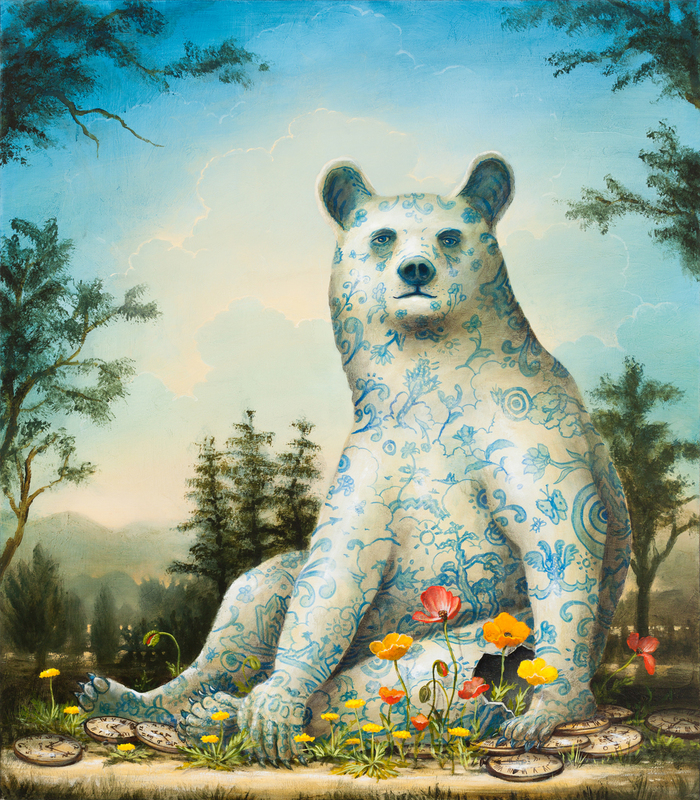 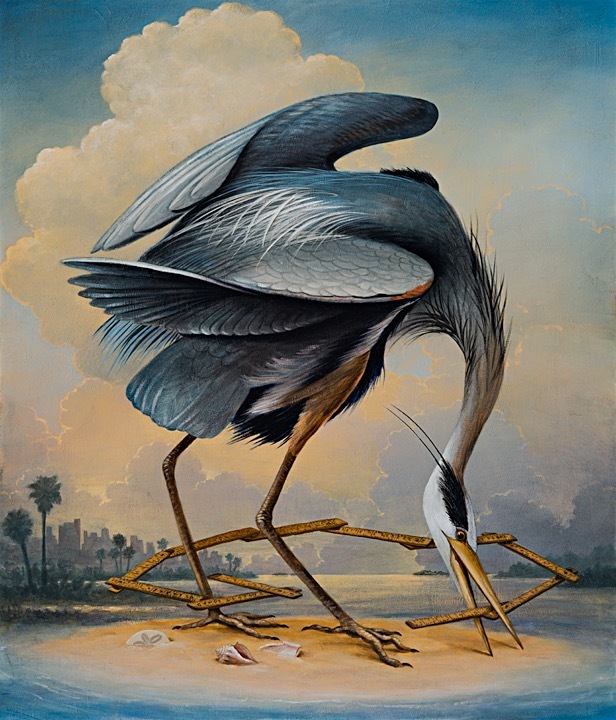 Often lush, sometimes stark and theatrical, Kevin’s “allegorical realism” paintings start a conversation about our relationship with nature in this modern, technological and quickly changing era.